I Will Find You is a new track from Kevin Edward. It’s a laid back, summertime pop song. It offers a bright romantic ambiance with tropical vibes. After listening to this song a few times, I admit that it kind of grows on you. The chorus lyric, “I will find you” is quite catchy and gives this jam a legit pop hit feel. The best way I could describe this music is that it reminds me of something that might be playing in the background at a store like Hollister. They usually have pretty decent soundtracks with a lot of indie cred compared to places likes H&M, so that is a good thing. Musically, I Will Find You is pretty groovy and has elements of surf, though my perception of the sound is likely influenced quite a bit by the high quality video, which is positively aquatic. Kevin Edward is actually a decent singer, too and isn’t afraid to take chances, pushing his vocals to the limit. 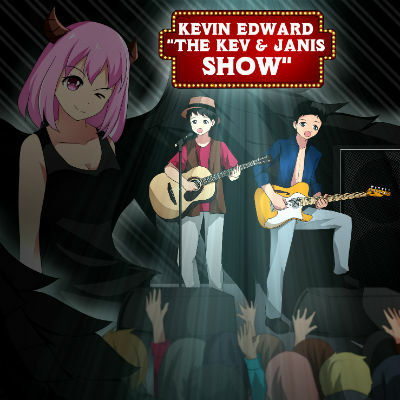 The song is set to be released on the live album, “The Kev & Janis Show” on Thanksgiving.